What a fantastic contribution to the Franchise industry. 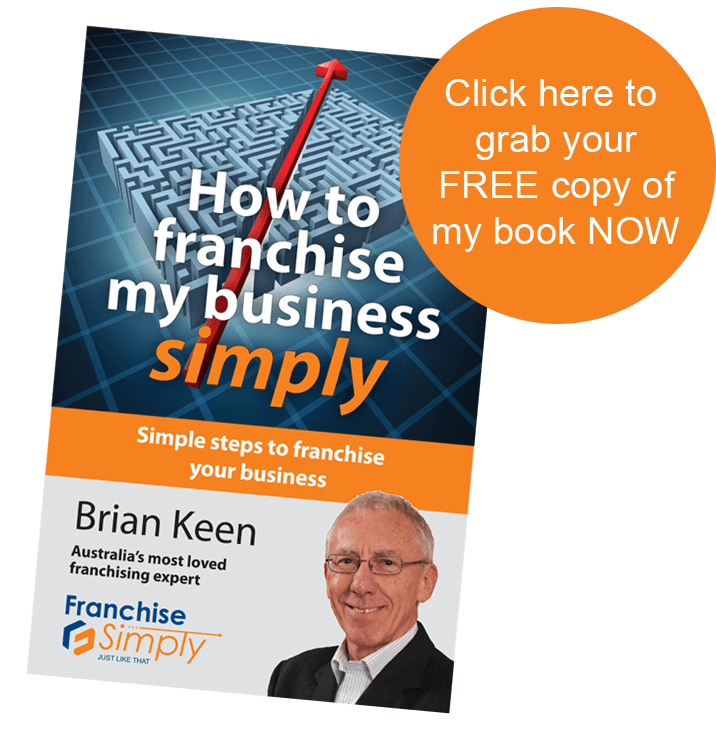 At a time when other, less informed “experts” are complaining about how hard it is for a small business owner in Australia to Franchise, Brian lays out a clear, concise, practical road-map to Franchising success. Brian teaches with the experience, humility and wisdom of a great teacher. By the end of the book you’ll know clearly if Franchising is for you. And more importantly, you’ll know exactly what you need to do next, on your way to Franchising riches. As business mentors, Brian is THE Franchising specialist we rely on to guide our clients in this area. Thanks Brian for your initial and ongoing services. You made the impossible a reality and you did so very quickly. If your business needs to move to the next step of being franchised, I would certainly recommend that you contact Brian or attend one of his workshops – NOW. The result - our members implement fast and get everything they need to succeed all in one place. Click here to join our inspiring community of entrepreneurs and you can be our next success story. We believe in giving back and so a percentage of every program is given to MicroLoan Foundation Australia to help women in Southern Saharan Africa to build businesses and take their families out of poverty. To date we have helped provide over 28,000 loans impacting on 150,000 impoverished people.